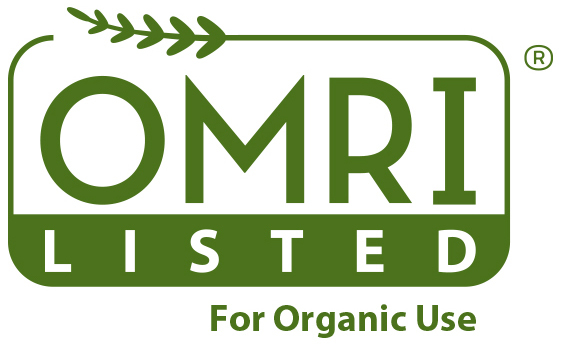 It is a great moment to announce that our flagship Neem derived Bio-pesticide, Soluneem has been listed on prestigious OMRI list. If you have shied away from indoor gardening because of the cleanliness factor, it’s time you said hello to plant gel - a wonder soil of sorts that comes with all the goodness of natural earth, minus the hassles, write Dr Anil Kush and Sameer Wadhwa. Vittal Mallya Scientific Research Foundation (VMSRF) is a premier Research Centre with a 20-year track-record in globally competitive R&D with its foci in the Life Sciences, Biotech & Synthetic Chemistry. This reputed R&D centre has made notable contributions to global Medicine, Health-Care, Human & Animal Nutrition, Agri-biotech & Organic Farming and Environmental sciences. We are organizing "Showcase-VMSRF" to "reach-out" to and build stronger bridges with existing AND potential partners for technology transfer, IPR sharing, product development, sponsored research AND incubation of Tech-Biz entrepreneurs. VMSRF will review with you what has been achieved in the past two decades with your cooperation & support. We cordially invite to grace the occasion and contribute actively to the professional interactions. We are confident that we can develop synergies with you & your organization. VMSRF certainly feels it has value to offer to your organization. Before the "Showcase-VMSRF" VMSRF would pay homage to the memory of Late Dr Kris Venkat, a friend of ours, a great mentor, friend, philosopher & guide to hundreds of 'Life Sciences/Biotech' technopreneurs across the globe since the early seventies. The memorial to this noble soul will be from 9.30am to 10.00am. Please be at VMSRF (K.R.Road, next of KIMS Med College) on 4th July, the Friday for a relaxed one day's session from 10.00 am to 4.30 pm. Please do confirm your participation either on line at vmsrf@vmsrf.org, showcase@vmsrf.org or at 26611664 (ext. 102). Contact person Ms Suma at above number. We greatly value your participation. RSVP: Suma, Kaushik Hatti, Rajendra Hegde. SoluNeemTM- the patented neem based bio-insecticide developed at Vittal Mallya Scientific Research Foundation has received approval from United States Environmental Protection Agency (US-EPA). EPA is the highest authority in the states regulating the usage of pesticides and chemicals. The approval, which was granted on 15th of December, 2006, is an important milestone achievement for VMSRF, after many years of research on the chemistry of neem. With this official approval, SoluNeemTM can now enterthe USA market as an organic crop protection input. The boom of organic agriculture and consumer awareness about the perils of uncontrolled usage of pesticides & synthetic fertilizers is demanding new dimensions in crop management. SoluNeemTM is completely natural and is the world's first water soluble neem based bio-insecticide. Active over 500 species of insect pests, it has unique multifaceted mode of action preventing resistance build up. It is biodegradable and does not leave any residue in the produces or land. Toxicological studies conducted at IIBAT, a GLP certified lab in Chennai, has proven its safety towards humans, pets and beneficial organisms in agriculture. All these data were critically analyzed and scrutinized by EPA for granting this approval. In addition to agricultural use, SoluNeemTM could also serve as a stabilized, standard input for cosmetics and vet care products based on neem. VMSRF is now exploring tie-ups / joint venture developments for manufacturing and marketing SoluNeemTM in India and overseas countries. SoluNeemTM is unique among the neem insecticides as it is water soluble, highly stable powder formulation with 6% Azdirachtin content. Committed to our vision "Science for Humanity" and in continuation with our earlier programs, we now announce the 10th Hands-on workshop on Applied Bioinformatics. Molecular level interactions form the basis of life, determining the sub cellular events and response to the environment. Understanding, analyzing & visualizing these interactions is crucial to further exploration & translating it into applied research. Various in silico tools are available to explore these nanoworlds, quantify or predict the probable type of interactions and to correlate to macroscopic observations. Case studies with relevant wet lab problems (Drug discovery) on world class software. Students/Faculties in Biotech/Bioinformatics/Pharma domain, with some prior knowledge on Linux/Unix, and the basics of bioinformatics. Please write to vmsrf@vmsrf.org with subject line as "Applied Bioinformatics- Enquiry"